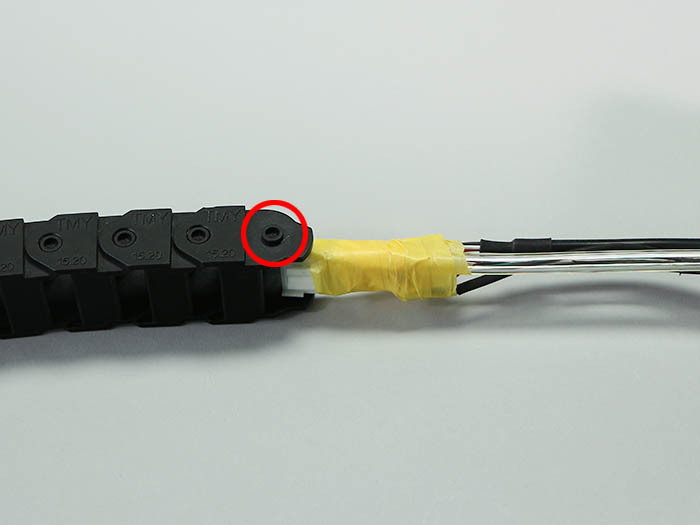 Put Polyurethane tube and X-Motor Cable together with tape or something equivalent. 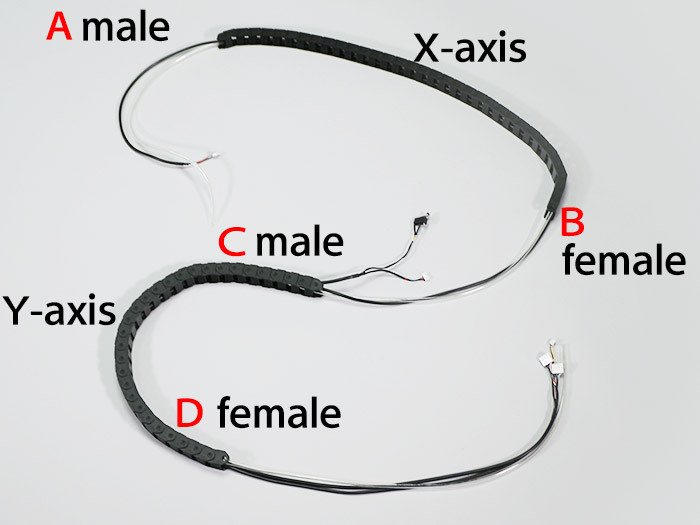 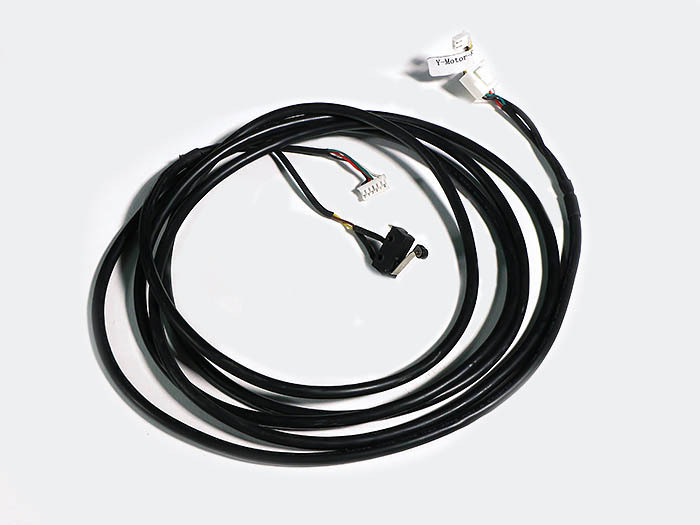 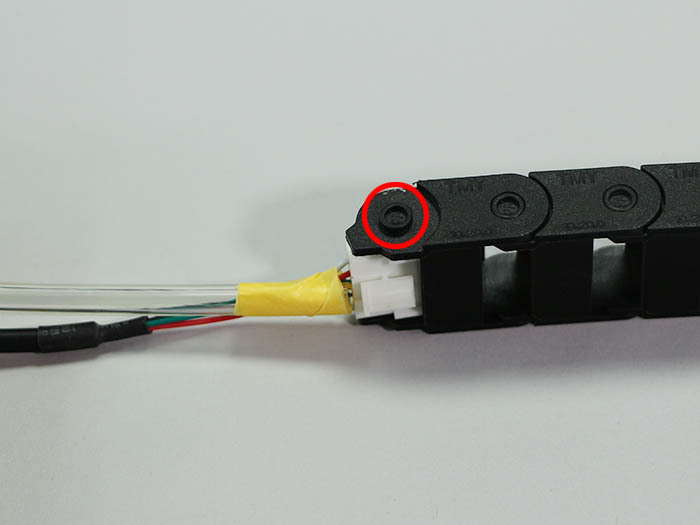 Make sure that X-Motor Cable is facing the right direction. 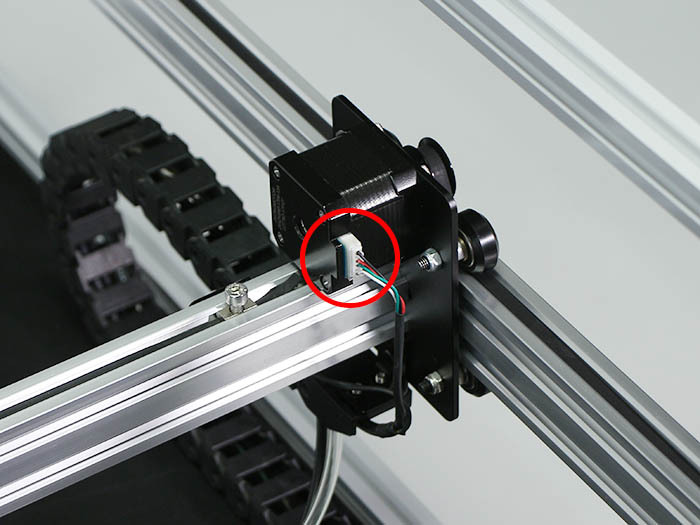 Put through the wire from the male part of Cable Carrier y-axis. 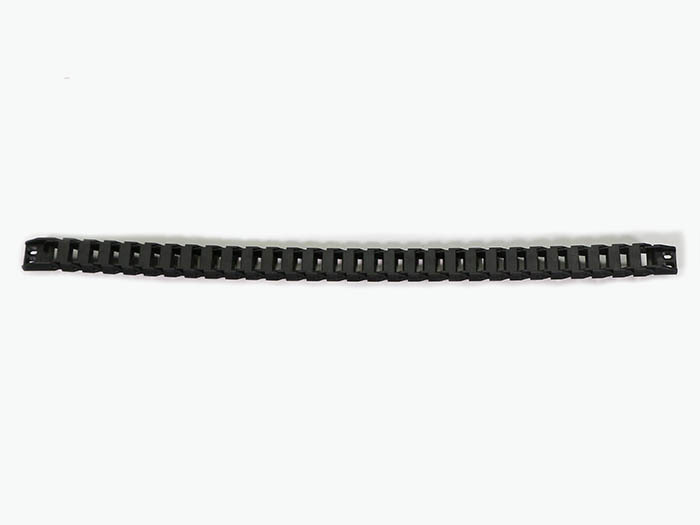 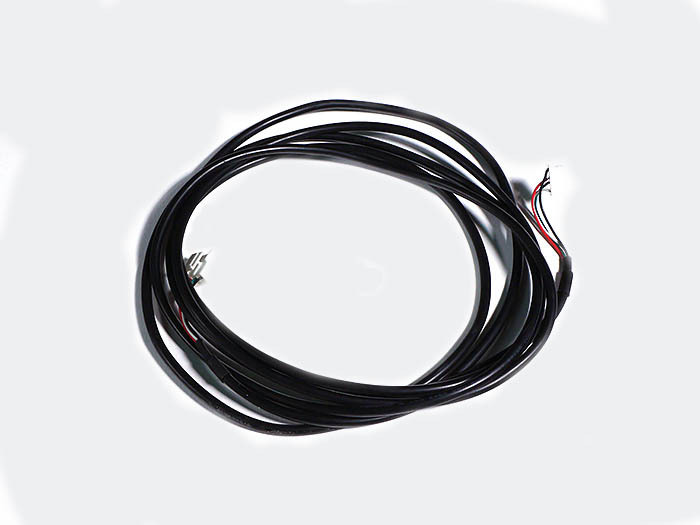 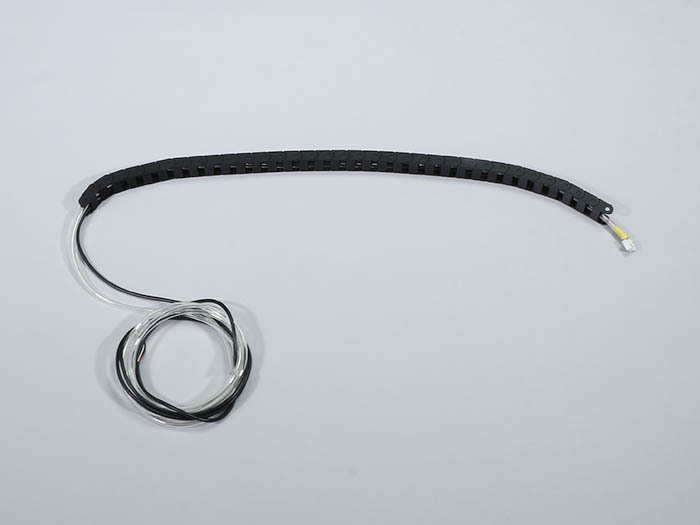 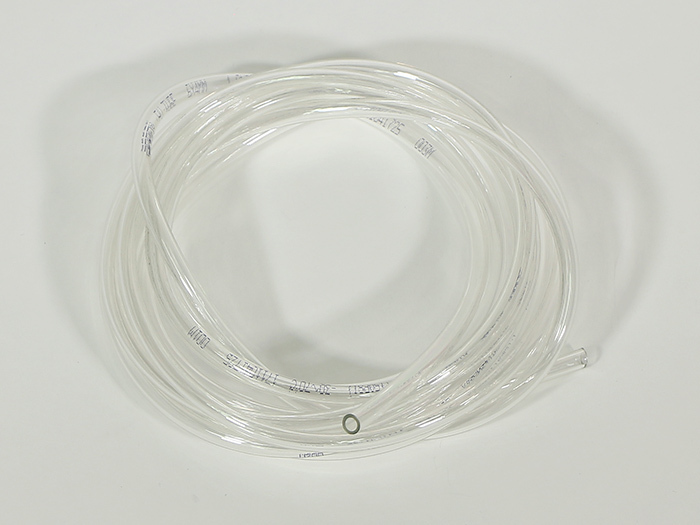 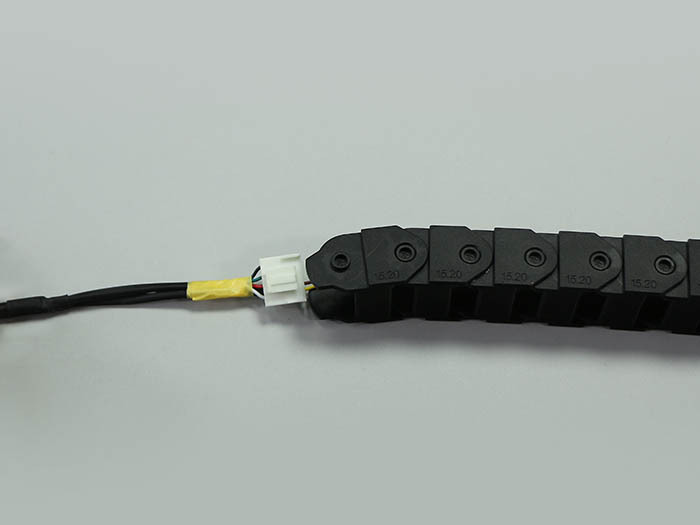 Install the cables on the main body frame in the order of A through D.
Pick Polyurethane tube from X-Motor Cable and leave 365mm length out as shown in the picture. 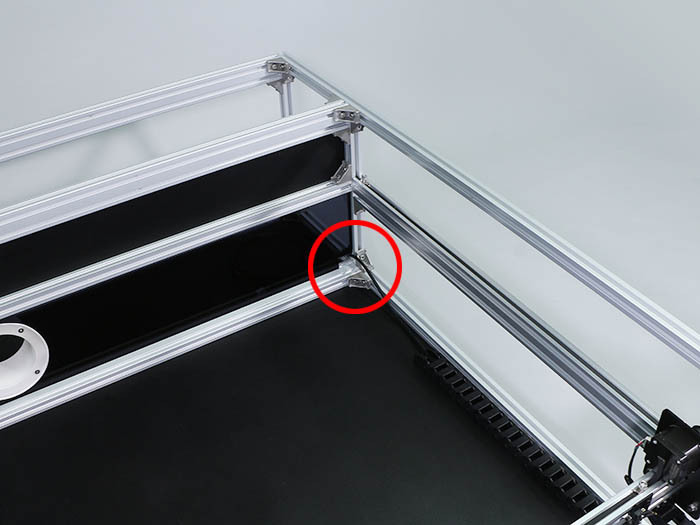 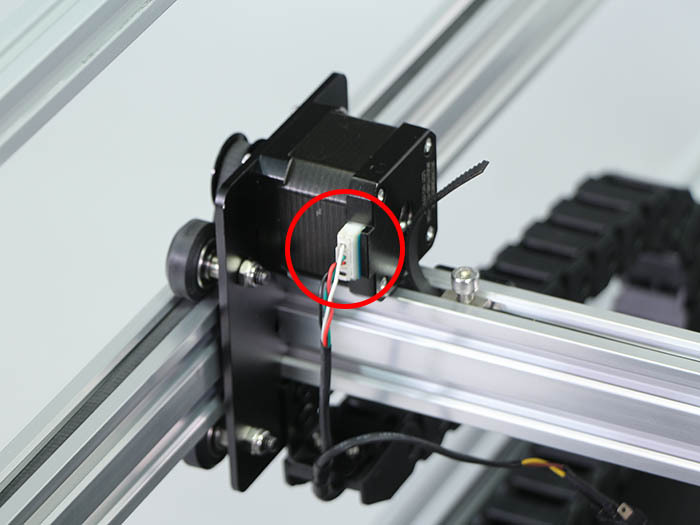 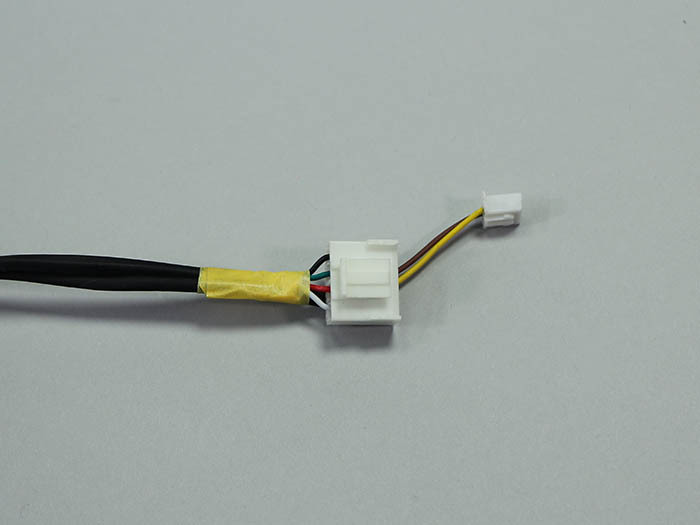 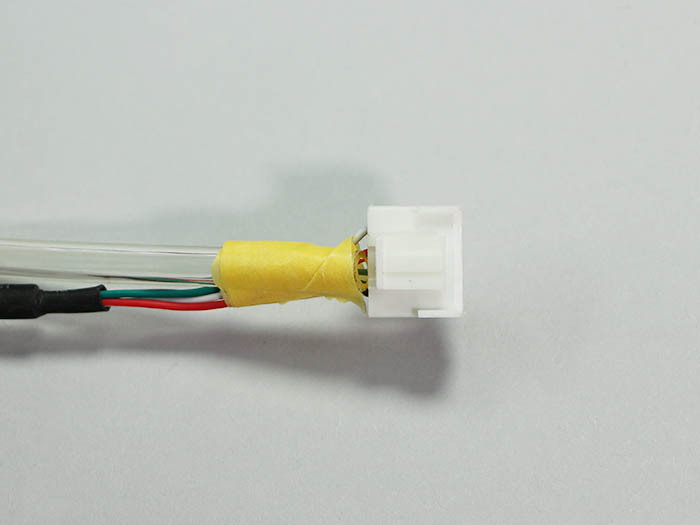 Attach connector of X-Motor Cable on the x-axis of Stepper Motor. 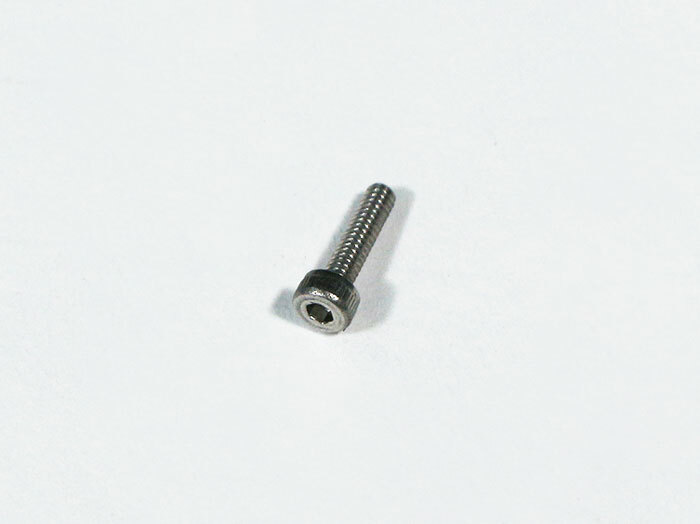 Attach switch of Y-Motor-L on Limit Mount with 2 of M2×8 Hex Socket Head Cap Screw. 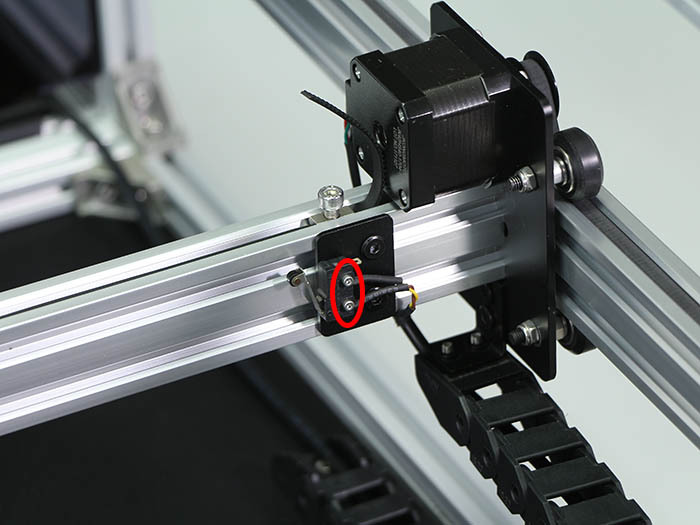 Attach connector of Y-Motor-L Cable on the y-axis-R of Stepper Motor. 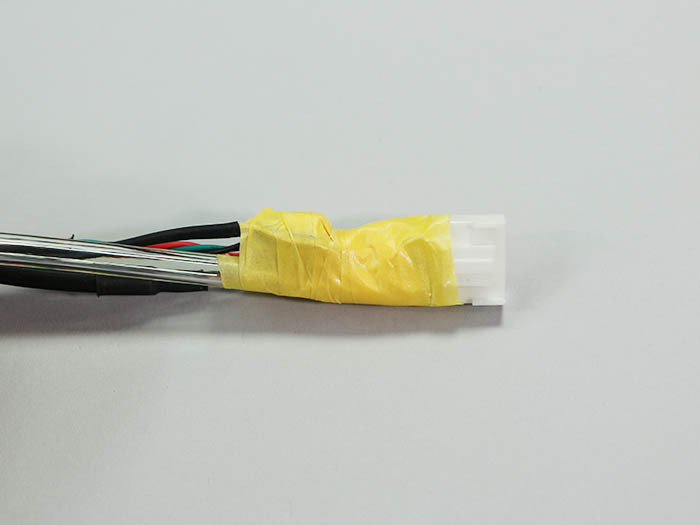 Put Y-Motor-R Cables together with tape or something equivalent. 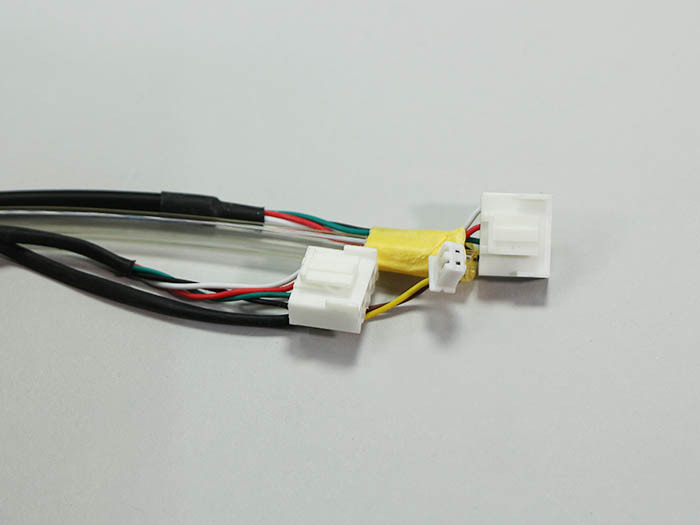 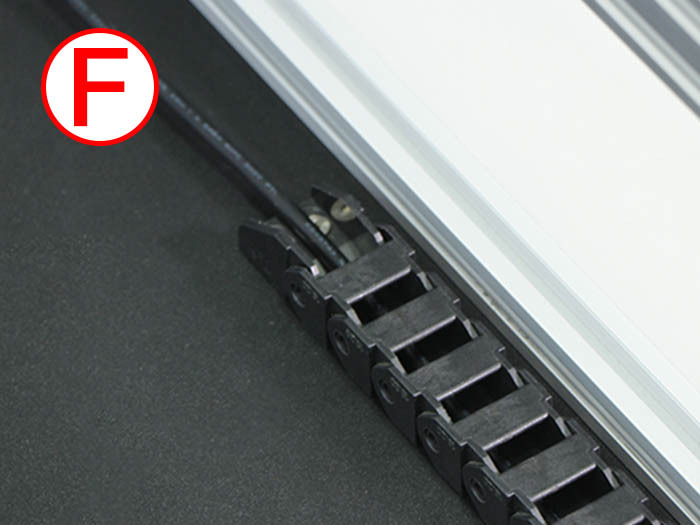 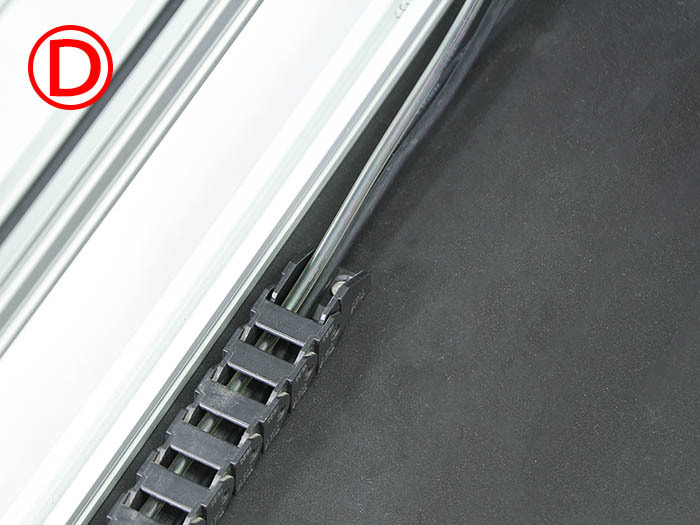 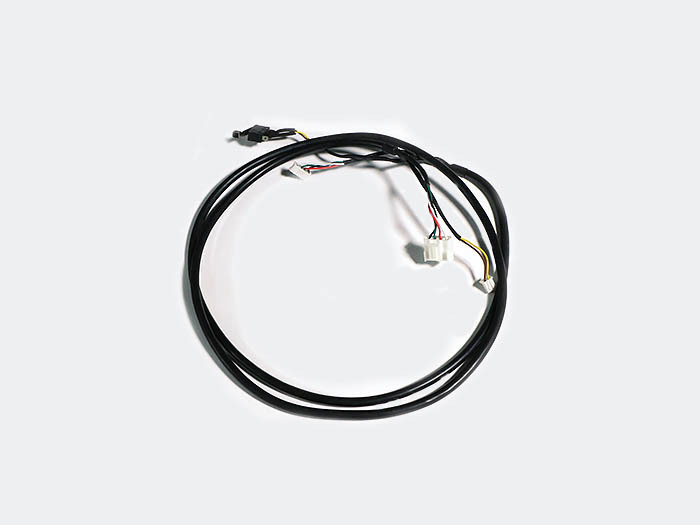 Make sure that Y-Motor-R Cables are facing the right direction. 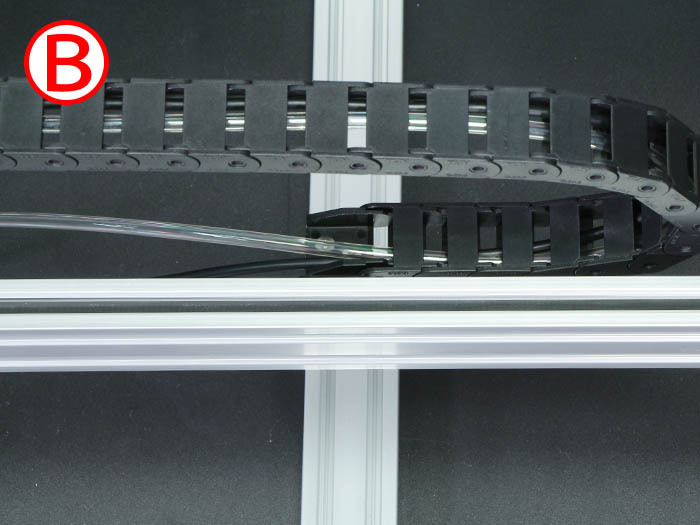 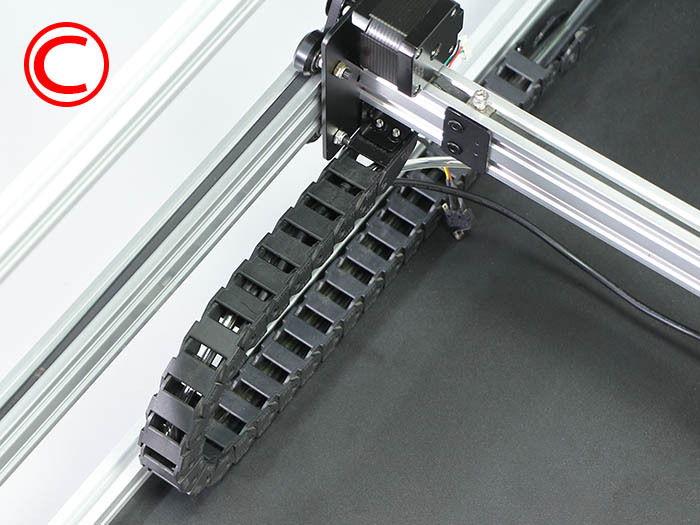 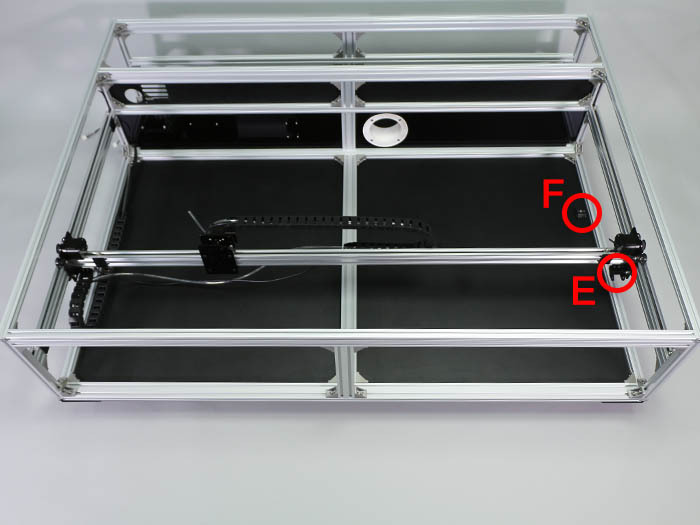 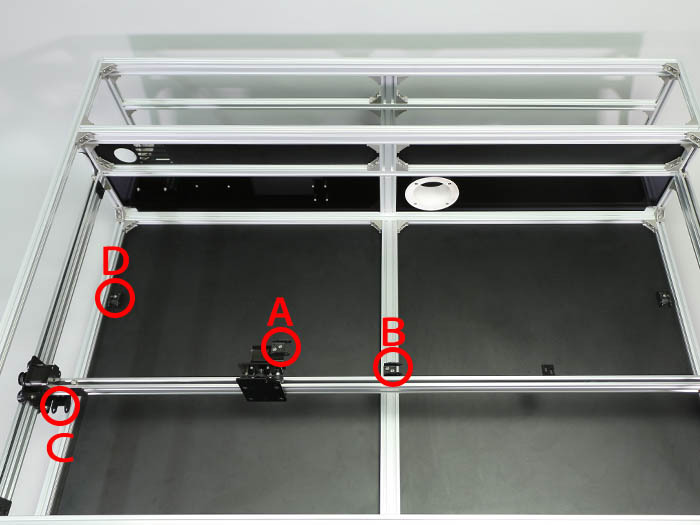 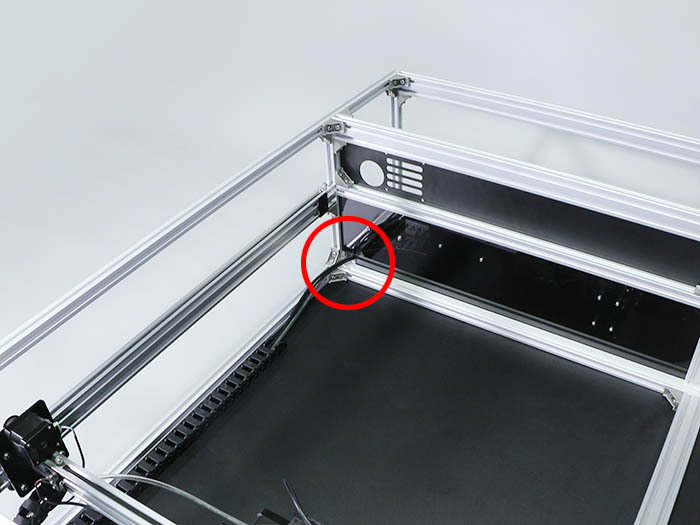 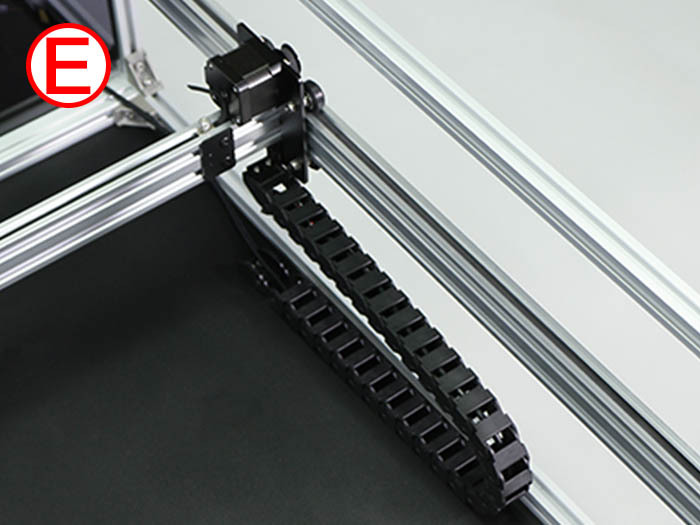 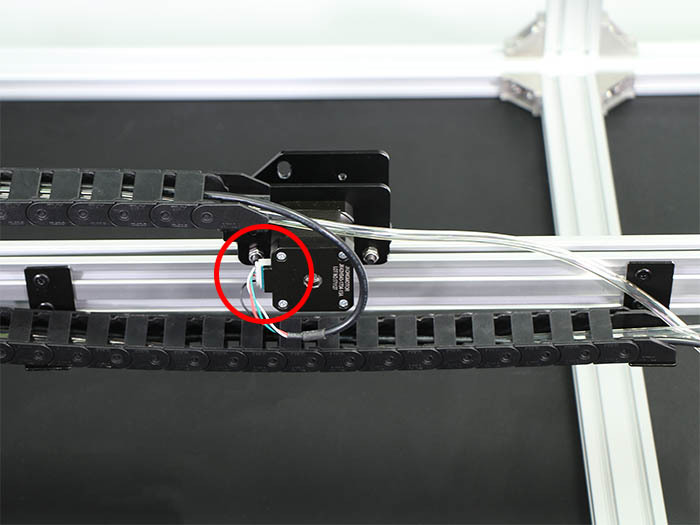 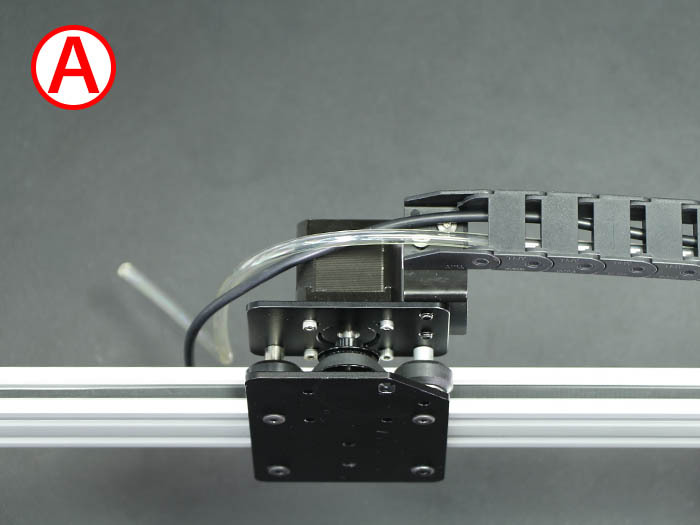 Install Cable Carrier y-axis on the main body frame in the order of E through F.
Attach switch of Y-Motor-R on Limit Mount with 2 of M2×8 Hex Socket Head Cap Screw. 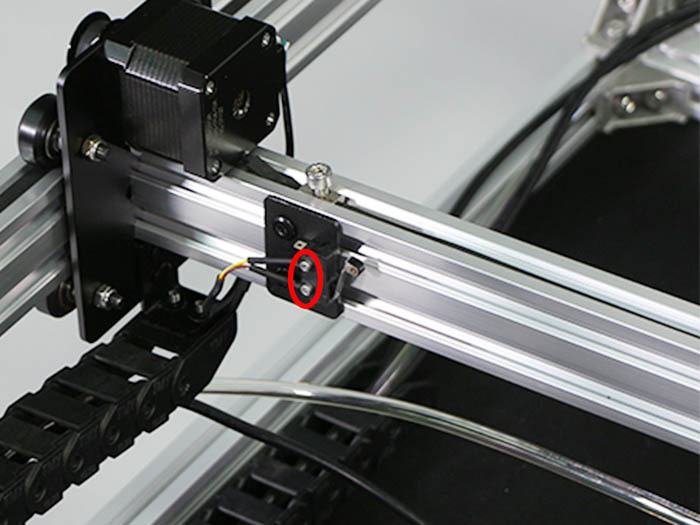 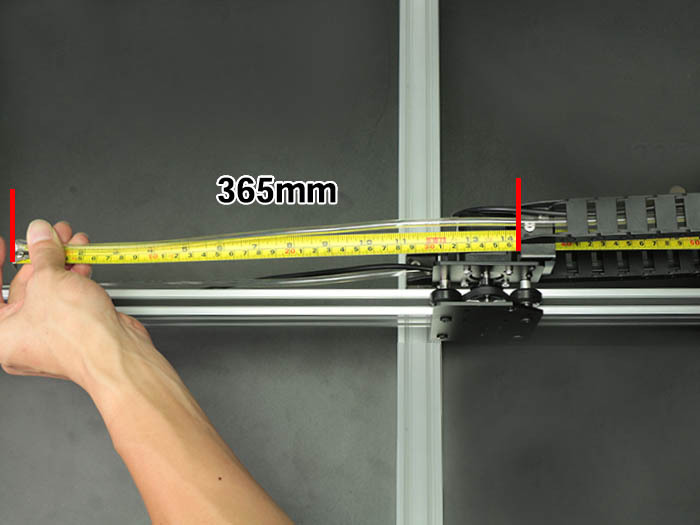 Attach connector of Y-Motor-R Cable on the y-axis-R of Stepper Motor.